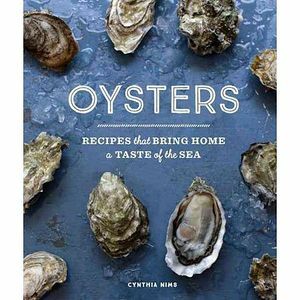 Local author Cynthia Nims considers the bivalve. What’s special: Useful information and 30 tempting recipes from a Seattle food writer with a particular specialization in seafood. Nims, a native Northwesterner, surveys everything from shopping and shucking to serving and slurping. Recipes, seductively photographed by Jim Henkens, range from classic mignonettes to fried oyster sliders to cider-poached oysters on toast. 1. Fry the bacon in a medium, heavy-bottomed sauce pan over medium heat until aromatic and much of the fat has rendered, 3 to 5 minutes. (The bacon shouldn’t brown much, reduce the heat if needed.) If there is more than a couple tablespoons of fat, pour off the excess (it can be saved for another use). 2. Add the leek to the pan and cook, stirring occasionally, until tender but not browned (as before, reduce the heat if needed to avoid browning), 3 to 5 minutes. Add the potatoes and half-and-half, bring just to a low boil, then reduce the heat to low, cover the pan, and simmer gently until the potatoes are tender, 10 to 12 minutes. 3. Add the oysters and their liquor. Simmer, uncovered, over medium heat, stirring gently now and then, until the oysters are plump and their edges are curled, 3 to 4 minutes. 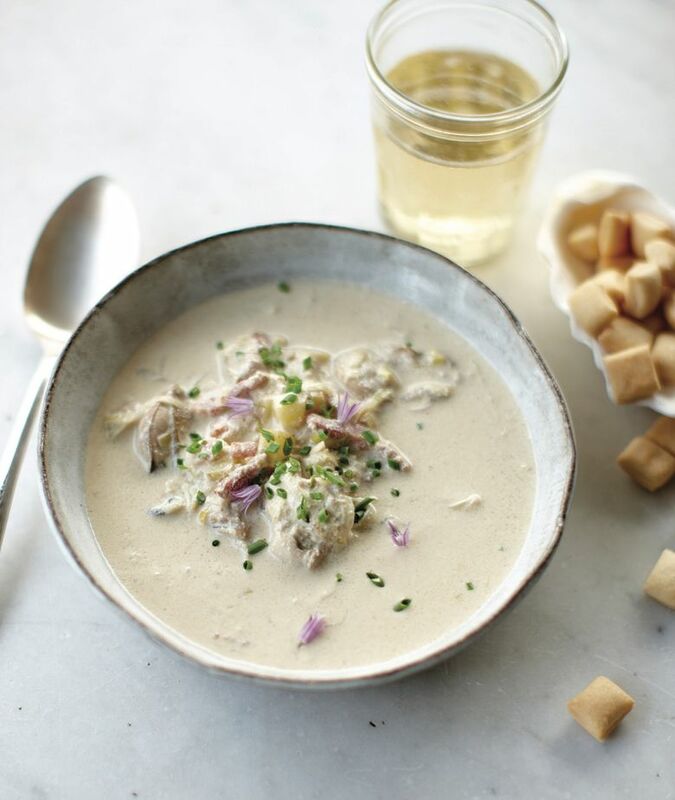 Season the chowder to taste with salt and pepper. 4. To serve, ladle the chowder into individual warmed shallow bowls, sprinkle with the chives and chive blossoms, and serve right away. Rebekah Denn, a two-time winner of the James Beard Award, writes frequently for The Seattle Times.